Every year I go to Taste, the artisanal food show in Florence. I love the old and beautifully renovated Stazione Leopolda, where it is located! I love the Michelangelo Hotel, across the street, where I always stay! I love Davide Paolini‘s selection of Italian food artisans! I love to meet so many of our producers! This event has something I cannot describe: it even attracts a smart, cool, interesting and good looking crowd. Magical! I love everything about the show. My dream? That the organizers, Pitti Immagine, transplant the whole show, including the Stazione, here in NY City. Possible? There is already a Michelangelo Hotel in NYC! Will Taste be next??? Taste is also an opportunity to meet friends who do not make food but are passionate about it. Here is Elizabeth Helman Minchilli, an American writer who lives in Roma and whose most recent work is the very successful Eat Rome app. I get so excited when I can introduce my friends to our producers, who then tell them all their fantastic stories! 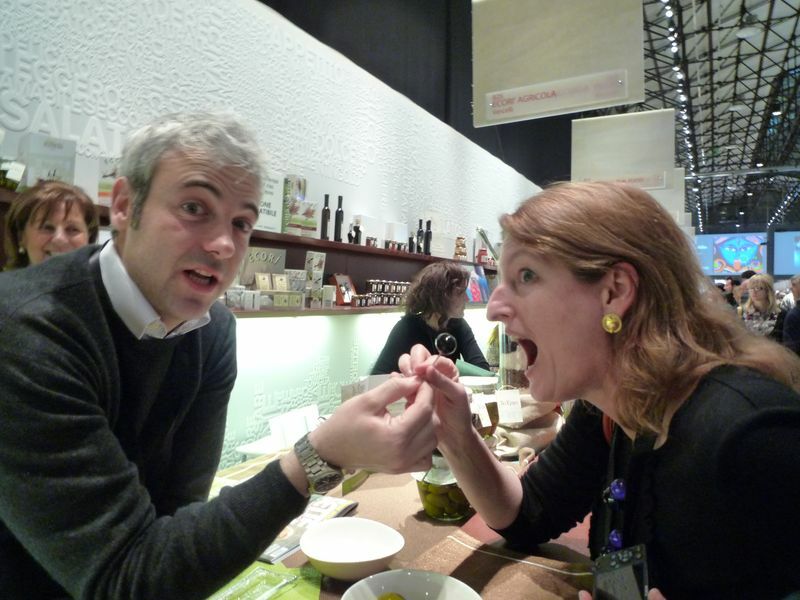 Here are Elizabeth with Andrea Fratepietro who makes the Bella di Cerignola Olives on his farm in Puglia. Andrea explained to Elizabeth the artisanal process of making his olives black (only strong jets of air to oxidate the olives, NO iron as the industrial products do). When you hear the story, when you meet the producers, you fall in love and you can’t wait to try their wholesome products! 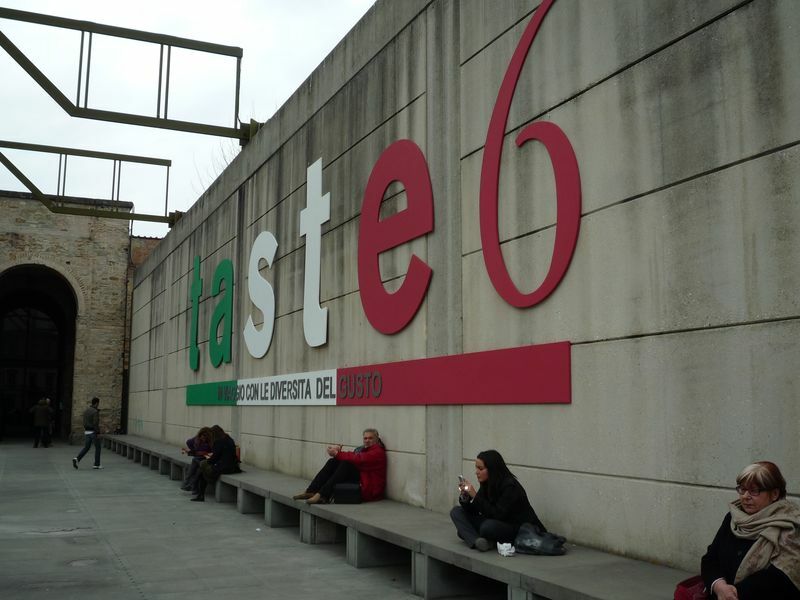 Previous Post MAXXI Caffetteria – The Best Food Secret in Roma, Until Now!